Estos conectores macho permiten usar diferentes cables para conexiones entre luces. Paquete de 5 conectores macho para lámparas LTLN. Male connectors for enclosure lights, LTLN. Customers have the choice to install enclosure lights using their own cables, which can be cut to size. 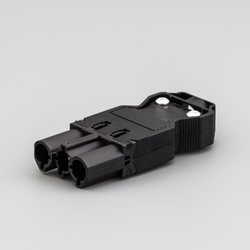 These connectors can be used to interconnect the enclosure light to another enclosure light.